American greats Wilco have had two very prolific years, releasing a critically-acclaimed album each year. 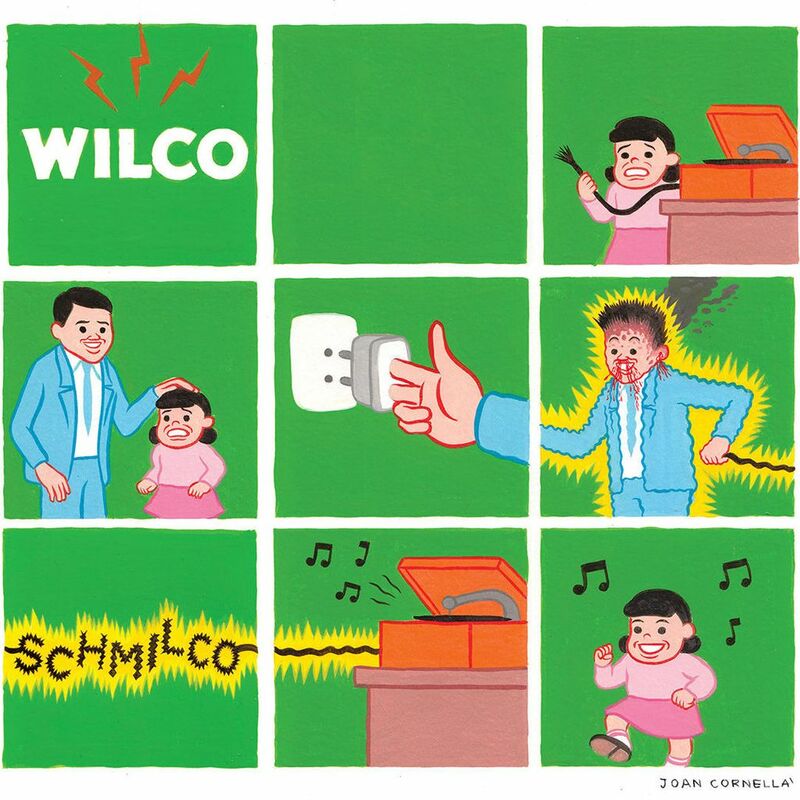 Following on the heals of last year’s heralded Star Wars album, Wilco won hearts and minds this year with their album Schmilco. 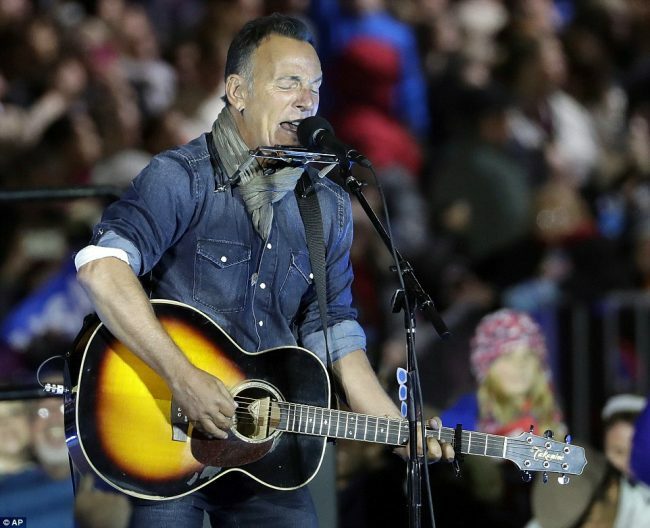 The band has been touring behind the new album and recently played Le Guess Who? Festival in Holland. Fortunately, La Blogotheque caught up with Wilco while they were there and captured two stellar performances by the band of the nostalgic If I Ever Was A Child and Normal American Kids, both of off Schmilco (lyrics below). Though the setting is dusky, as usual the band shines brightly (especially Nels Cline and the harmonists). Check ’em out below and go buy Schmilco HERE. First the bad news: in many ways 2016 has, how you say, sucked. Beyond recent political events, many seminal artists have left the planet, the most recent being the loss of the great Sharon Jones. And folks remaining on the planet are rightfully bereft. 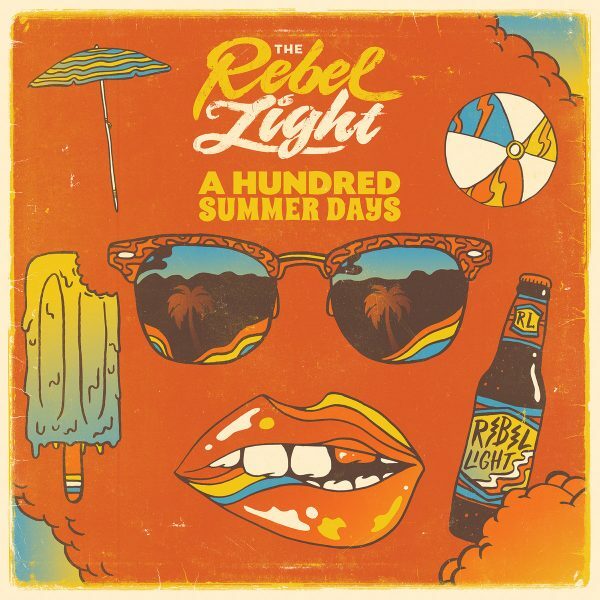 Now the good news: the ever-entertaining and talented Chuck Prophet (never miss a chance to catch him live) has a new album coming out entitled Bobby Fuller Died For Your Sins. Prophet has already released the audio for new song Bad Year For Rock and Roll (see at bottom). Now comes a video put together by a Prophet fan, which you can watch below, which depicts the artistic loss (minus Ms. Jones). Indeed it’s been a bad year for rock ‘n roll (and the arts in general). You can stream/pre-order Bobby Fuller Died For Your Sins (out on Yep Roc) HERE. Kids: if you don’t know Bobby Fuller, look him up. And you can start HERE. The Rebel Light’s most recent release is the summery five-song EP A Hundred Summer Days that is now on repeat at Chez Lefort (Strangers is beguilingly catchy and Afterlife is highly recommended), and you can listen/pick it up HERE. Good stuff. Watch the video below, and take heed and take heart. Lyrics at bottom. It’s times like these…. In the wake of Leonard Cohen’s passing nearly a week ago and while finishing up their tour leg in England, Okkervil River honored Cohen by covering his So Long Marianne and his inspirational hymn Anthem. 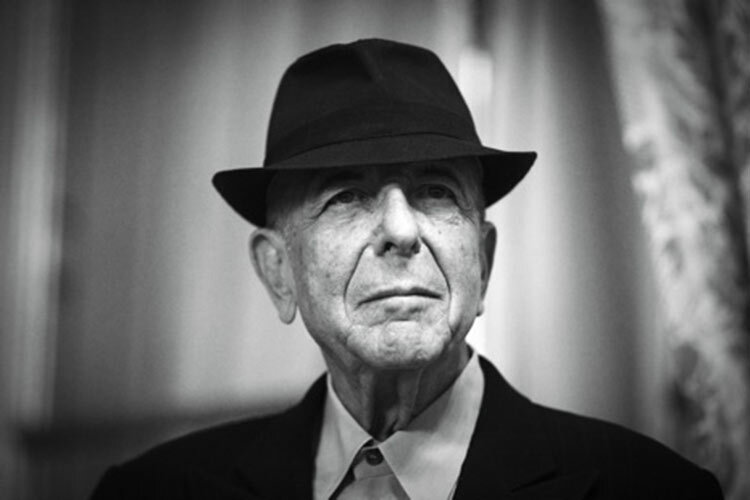 It was a tough week for many owing to the Presidential election and the loss of the great Leonard Cohen. Last night Saturday Night Live smartly wove the two through Kate McKinnon’s Hillary Clinton persona accompanying herself on the piano and singing Cohen’s Hallelujah, giving new meaning to many of the song’s couplets. Never give up the fight people. Keep evolving. There’s work to be done in the name of love. Bruce Springsteen can do no wrong in our book, and once again he nailed matters in Philly last night where he performed and spoke on behalf of Hilary Rodham Clinton. Keep the faith. It’s Election Day. 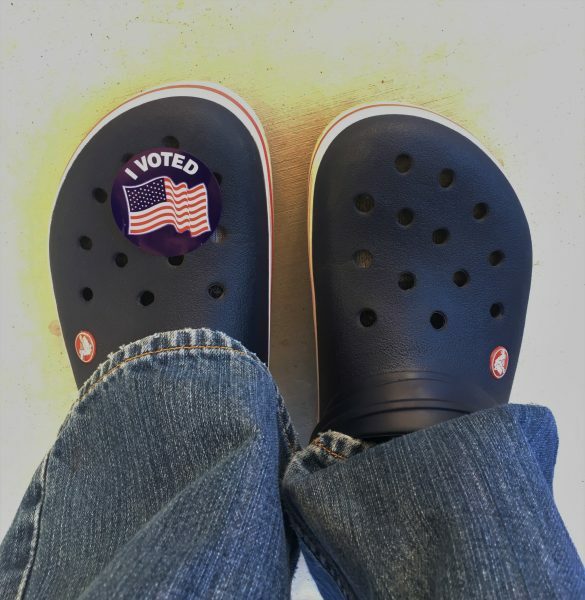 Get out and vote! And don’t you worry ’bout a thing sang the wondrous Stevie Wonder on Colbert. Check it out below. As an added bonus, check out Wonder’s resolve in his bluesy Star-Spangled Banner. Superb singer/songwriter/gifted-guitarist Margaret Glaspy is getting lots of deserved attention these days. Her deft new debut album Emotions and Math is receiving due acclaim, oracles are proclaiming her a Best New Artist, and she’s been featured in a popular NPR Tiny Desk Concert. We’ve featured her before, but for a quick primer on Glaspy check out below her new video for the title song from her album. Like many of Glaspy’s songs, there’s a nimble melody, well-honed lyrics, adroit vocals and artful and tasteful guitar-playing. It’s a winning concoction that we can’t help going back to. The song Emotions and Math smartly surveys life apart from loved-ones, and the video features a love-lorn Glaspy at a desk job, pinning up mementos (including a “Santa Barbara” mini-sombrero knick-knack–Glaspy recently played here), counting down days until reuniting, and incapable of staying focused on her job. Great stuff from Glaspy and director Claire Vogel. 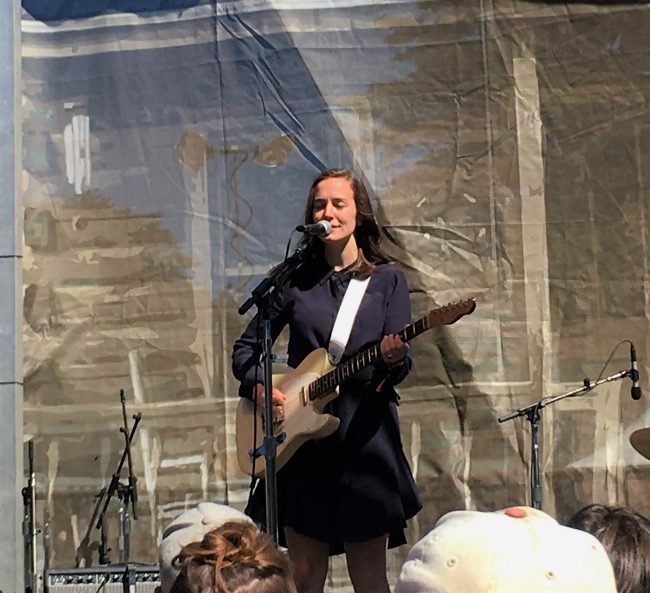 Glaspy was one of our favorite performers at this year’s Hardly Strictly Bluegrass Festival in San Francisco, where she wowed the crowd with her sultry vocals and vivid guitar playing. She’s out on a world tour now (see dates HERE), and you can bet she’s got emotions and doing the math while away. Catch her if you can. And do yourselves a favor and go buy Emotions and Math HERE.